Home Sanatana Hindu Dharma Tirtha (Pilgrimages) Secrets of Kashi, Revealed! The original Kashi is called Avimuktha Kshetra – never given up, never forsaken. It means that the people who live there, and Kashi itself will never be forsaken. When the whole world is destroyed during Pralaya (the great deluge), Mahadeva declares that he will hold and protect Kashi on the tip of his trishul. His protection is called Urdhvamnaya. 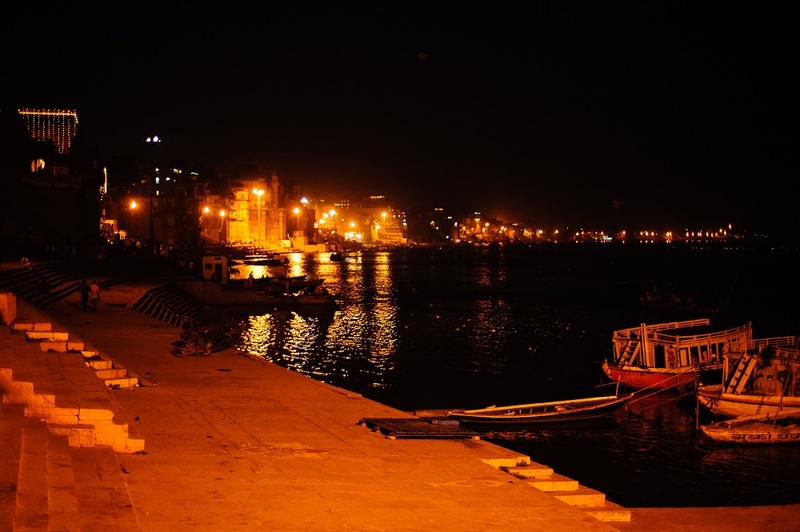 The city of Kashi is most fascinating! Varanasi’s streets are very famous, consisting of small, gully-like lanes that are only two-and-a-half to three feet wide. The city was designed and built in the days before bullock carts were invented. You may ask, why such small, narrow streets? Kalabhairava revealed to Paramahamsa Nithyananda that Kashi’s streets of today were not streets but used for drainage! They did not have streets because you could only live there if you have mastered the science of flying, levitation! There were three ways of flying in those days: Mani, Mantra and Oshadha. Mani – Is the technology of small, personal flying machines, sometimes larger like the Pushpaka Vimana (flying chariot). Mantra – By mastering the science of Pranayama and balancing the flow of the breath, large amounts of samana energy are absorbed in the system and the body will simply rise and move. Oushadha – These are special herbs that, when held under the tongue, will help contain the prana inside the body, making it become weightless and the body will rise and can be moved. In the Vedic Tradition, the technology, Mani, is described in the Vaimanika Shastra. It clearly describes the different flying machines, from one man’s private flying machine, to machines in which around five thousand people can fly. The city of Kashi, or modern day Varanasi, was established thousands of years ago by Mahadeva Himself. Once, the bhootganas and pretas requested Mahadeva to establish a community on the planet Earth. That is when Mahadeva came down on the planet Earth with His disciples, followers, bhootas, pretas and ganas and established the city of Kashi. Only after that did the Ganga flow to Kashi. Kashi is much older than even the Ganga river. The present day Kashi has seven layers of cities under it. It was built and sunk and then rebuilt and again sunk seven times. Even if you dig a bore well in Kashi, seven layers of cities will be found. The whole city is a consolidated experience of the principle of Advaita! It is the consolidated Advaitic experience of millions of enlightened beings. With that the city is built. That is why it is called the “Suvarna Bhoomi”. The city is the “Golden City”. Previous articleDrop Your Fear of Death!